When setting up a new website for a business, it can often be intimidating to deal with all the information out there with how to optimize your site to rank higher on Google and increase traffic to your site. 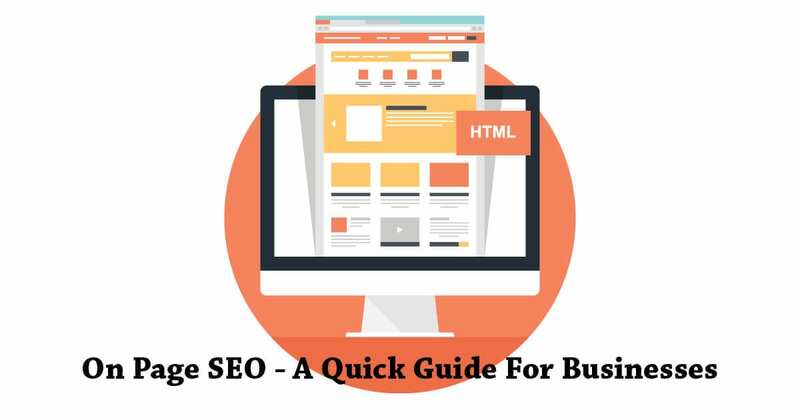 So today, we’re going to review some easy steps you can make to get your business website’s SEO started off on the right foot. 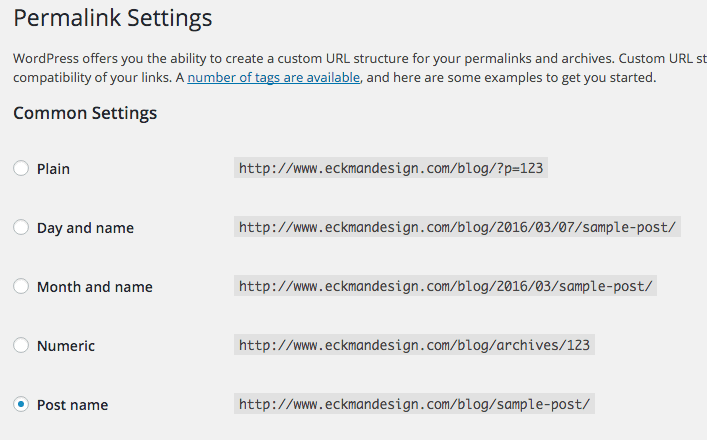 You want to avoid using links like “https://www.eckmandesign.com/blog/?p=123”, but rather use keyword rich urls like “https://www.eckmandesign.com/blog/on-page-seo-for-business/”. If you are using WordPress, it’s dead simple to fix. Just click Settings –> Permalinks and change the default settings to post name. The title tag on pages of your website tells search engines what the page is about. It should be 70 characters or less and include your business or brand name and keywords that relate to that specific page only. Most importantly, lead with the keyword first in your title tag. This gives the page higher weight to the search engines. Make sure you have a meta description on your pages. Meta descriptions give the search engines and humans a little bit of information about what your site is about. There is a little bit of debate about how much weight, if any, Google gives to the keywords using in the meta description, but searchers without a doubt will see it as they search. If it’s blank or poorly written it’ll affect the number of visits your site will get. The meta description should be about 150-160 characters in length. If it is too long, Google will shorten it. The header tags (<h1>, <h2>, <h3>, etc.) break up the content of each page into sections and lets Google know what each page is about. Your page should only have one <H1> tag. This <H1> tag should be the main topic of your page or post. If you need another heading with the same sized font, use CSS to change the size of the font, don’t keep using <H1> tags throughout the page. The <h2> tags are the sub-headings, and the <H3> tags are the sub-sub headings. When you add your images don’t skip including some good keywords to to your images titles and and alt tags. These tags help Google find images that are related to your keywords. When appropriate use out-bound links to link to high quality content. This may seem counter intuitive, but Google looks at this positive factor that demonstrates that your site is a good information resource for its readers as well as associating it with similar sites with related information. No one likes a slow loading page, but did you know that the slowness could be affecting your ranking on Google? It’s true. So go check your PageSpeed using Google’s PageSpeed tool or using GTMetrix. Both will give you a score with what you need to do it fix it. We’ll be covering how to fix many of these issues in the next few posts. So, subscribe, and stay tuned for more info on how to speed up your site. So there it is, a few quick tips on how to boost your site’s ranking on Google and how to optimize your SEO. We hope these helped! Subscribe below and you’ll get an email when we post new guides.